F M Berkheimer Inc is proud to serve the New Cumberland community! 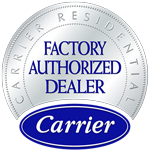 About New Cumberland, PA - Happy to be your hometown Heating & Air Conditioning Contractor! New Cumberland is located in Cumberland County, Pennsylvania, approximately five miles south of Harrisburg and 100 miles west of Philadelphia. The city is home to a population of more than 7,000 residents and is served by the West Shore School District. Nearby colleges and universities include Harrisburg Area Community College, Central Penn College, and the Harrisburg University of Science & Technology. New Cumberland is a great place to work and do business. The city is home to over 650 businesses based largely in retail trade, public administration, and professional services and boasts a skilled and educated workforce, of which more than 35% hold a Bachelor’s Degree or higher. Economic amenities enjoyed by New Cumberland residents include low unemployment, recent positive job growth, and median household incomes in the mid-50s. New Cumberland’s spectacular seasonal climate graces the region with mild summers and cold snowy winters – perfect weather for enjoying the myriad opportunities for outdoor sports and recreation that dominate the region. The city is situated along the western banks of the Susquehanna River, a beautiful, fast-flowing river that is a popular destination for kayaking and canoeing and offers excellent fishing for smallmouth bass, walleye, catfish, and carp. Located just 15 miles to the south is Gifford Pinchot State Park, a 2,338-acre expanse of natural parkland situated around Pinchot Lake that features a host of recreational amenities that include fishing, boating, hiking, biking, horseback riding, camping, hunting, and more. New Cumberland features a charming collection of shops, boutiques, cafes, and art galleries. Local entertainment venues include the West Shore Movie Theatre, Fountainblu Skating Arena, Carnahan’s, and the Harrisburg Comedy Zone, a stand-up comedy club located adjacent to the Boomerang Bar & Grille that features live comedy acts by nationally known comedians. 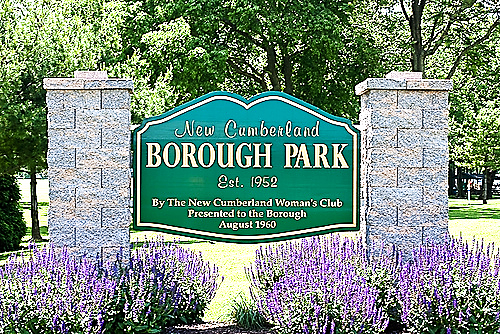 New Cumberland hosts a variety of festivals and special events each year, including the New Cumberland Community Day & Garden Faire, held each May, and the New Cumberland Apple Festival, held each September at New Cumberland Borough Park. Situated at the crossroads of Interstate 83 and Interstate 76, New Cumberland is a great place to experience the beauty and charm of the West Shore Region of Pennsylvania’s Susquehanna River Valley!